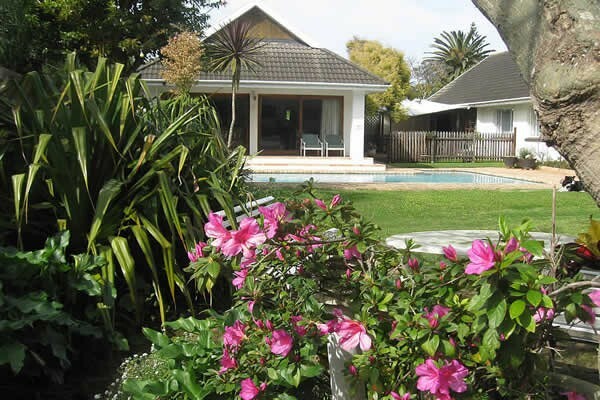 Wilmot Cottages offer 2 peaceful self-catering family units in our lovely garden in Summerstrand. 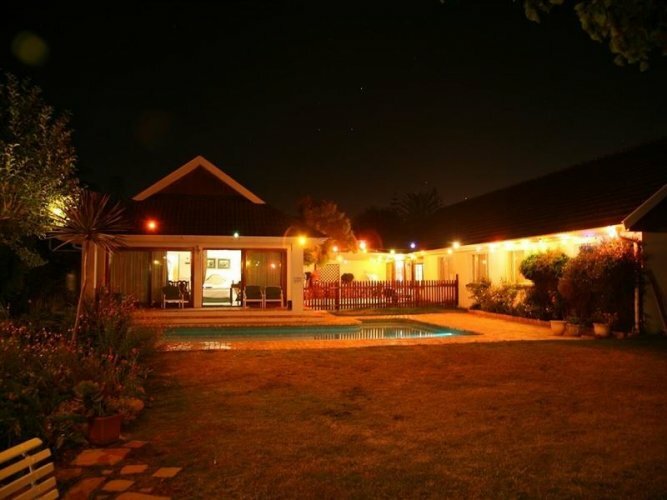 We are close to the beach, Nelson Mandela University, the Boardwalk and shops. We do offer breakfast on request. 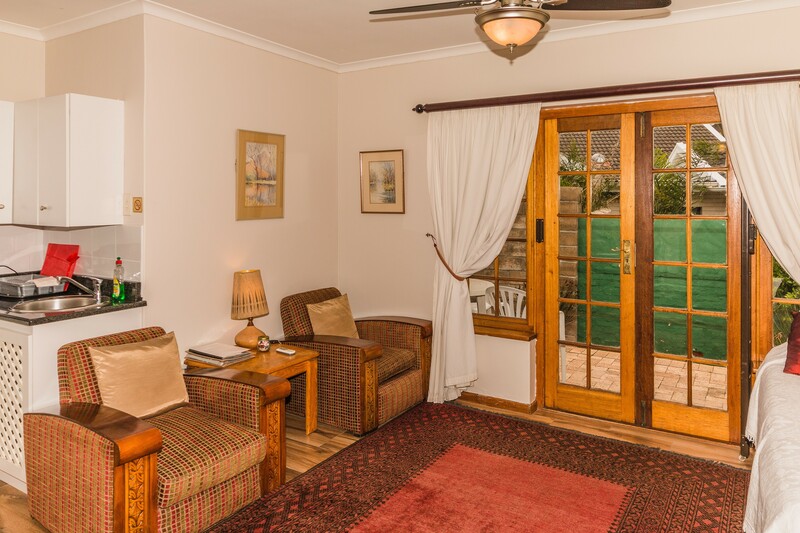 Wilmot Cottages offer great Home-From-Home accommodation in 2 lovely, self-contained units. The Cottage sleeps 4 people. 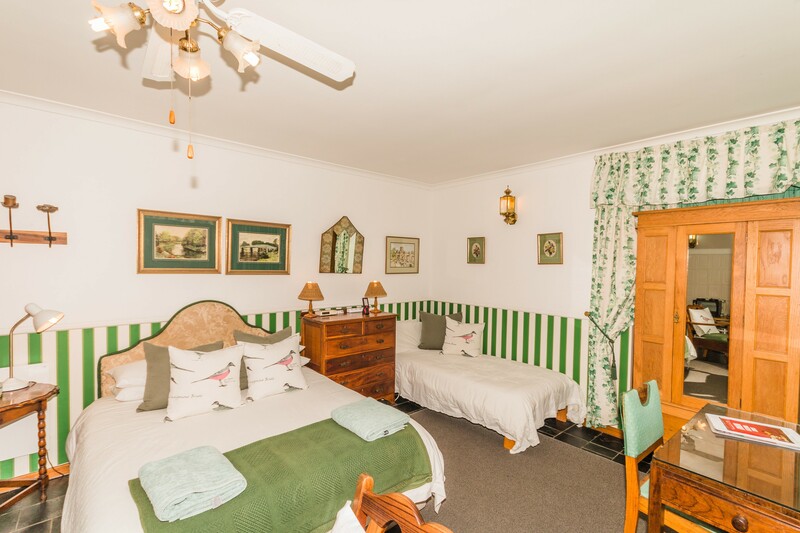 It has a separate bedroom with a double bed and the bathroom is en suite. There are 2 single stack beds in the living area. There is limited DSTV, a DVD palyer and free wi-fi. 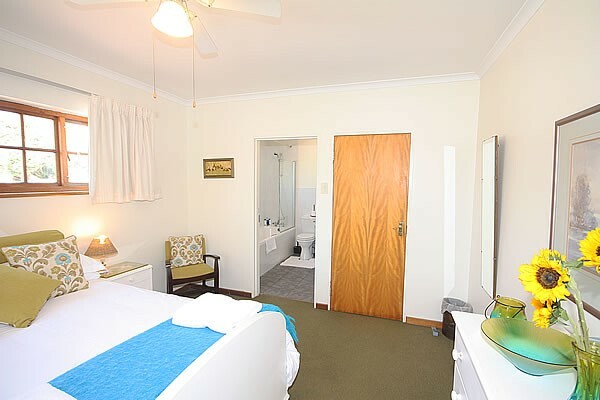 The unit has a stove, fridge/freezer, microwave etc and has the crockery and cutlery, cooking utensils that you require for comfortable self-catering. It has a separate entrance and off road (behind a remote controlled gate) parking. 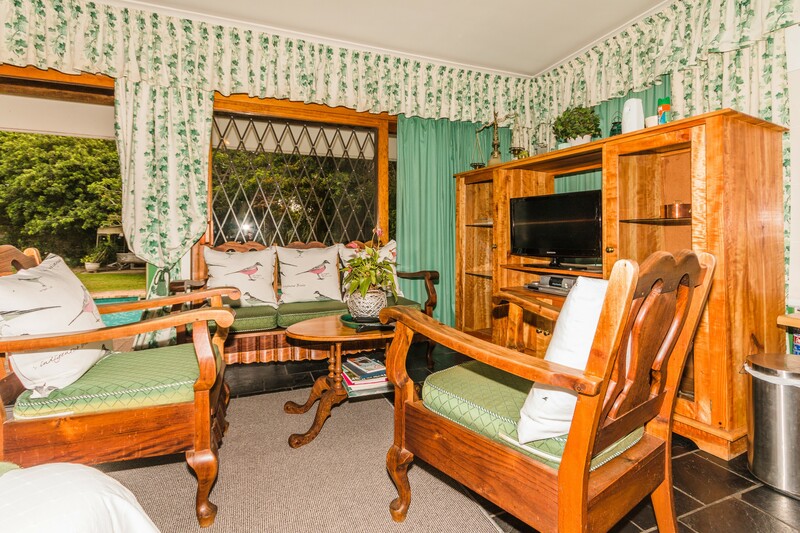 The Pool Room is a sunny, large room with a queen and single bed in it, sleeping 3 people. 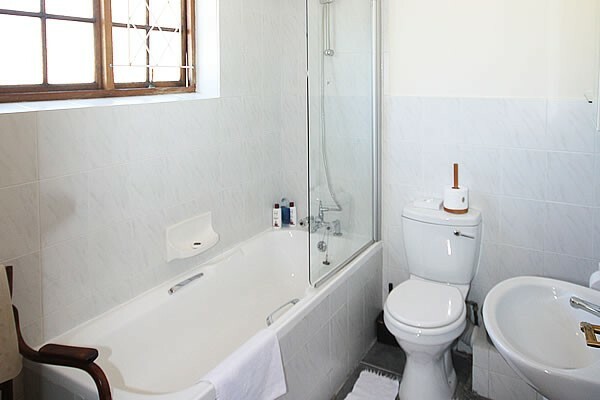 It has a shower en suite. 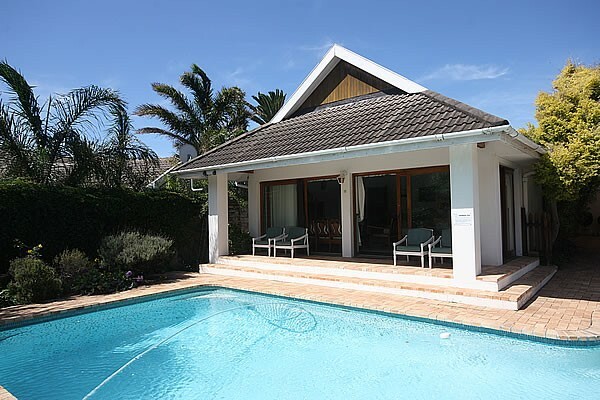 There is limited DSTV, and a DVD player as well as free wi-fi. The kitchenette facility includes a bar fridge, microwave, small 2 plate cooker with oven and crockery etc. 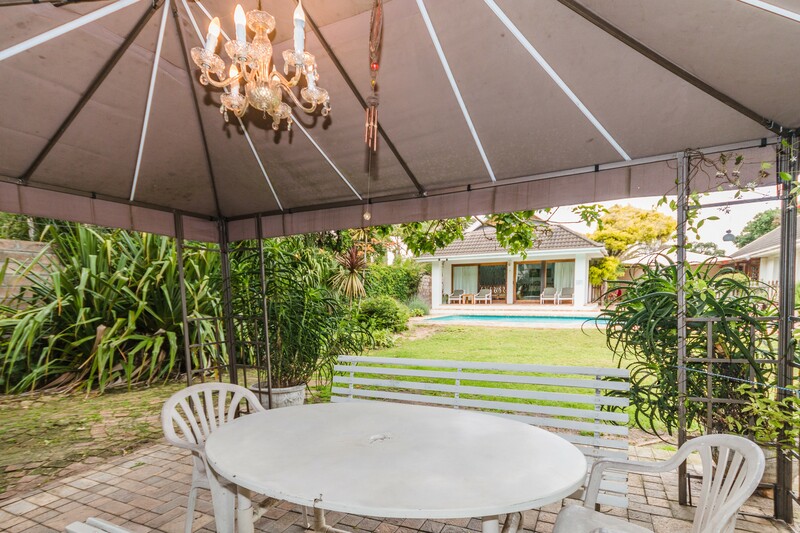 This unit opens onto the swimming pool and garden. Should you wish to braai, we have Weber braais which you can use. 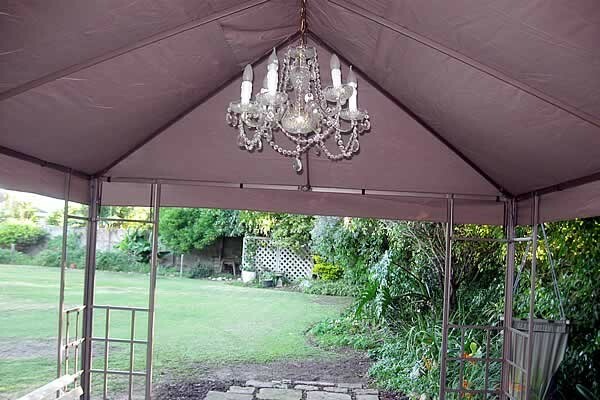 There is a gazeebo with a chrystal chandelier in the garden which you are welcome to use. We look forward to welcoming you to our comfortable establishment and to our beautiful city with the beach close by. There is so much to see and do in Port Elizabeth so please make it your next holiday destination.